Principal clients are companies in the construction, industrial construction, machine-building and automotive sectors as well as producers of household appliances. 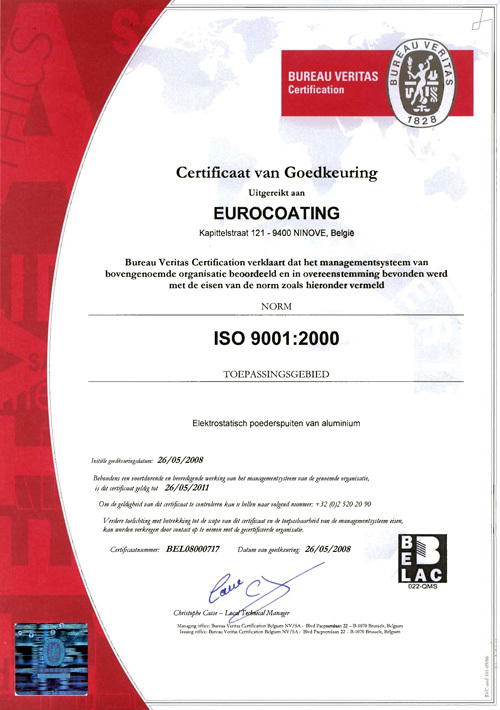 With procedures certified to ISO 9001:2000 levels, Eurocoating is able to combine flexibility with fast and reliable service. 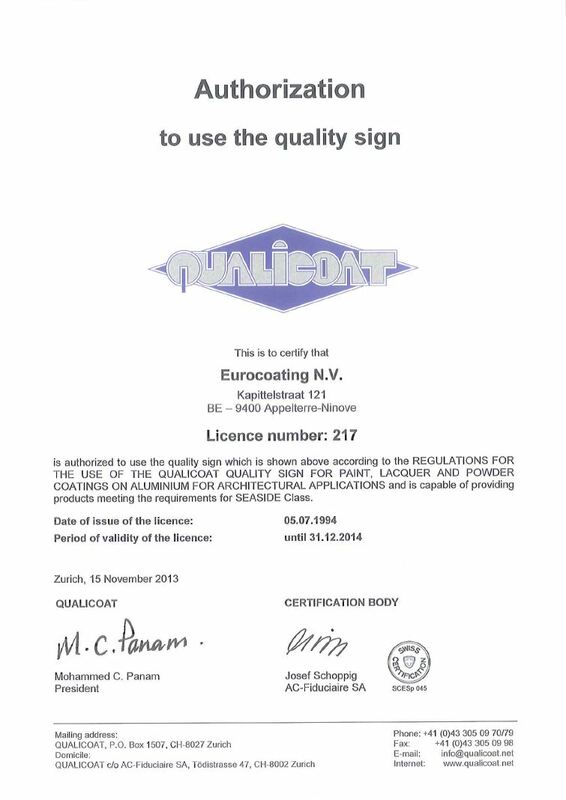 The quality of the production process is guaranteed by the Qualicoat and Qualicoat Seaside labels.